I also want to take an opportunity to give you more details about the special colloquium on Thursday, March 31-Friday April 1 on the Synopsis Purioris Theologiae as we have quite an array of scholars. You won’t want to miss that. Your support is helping to make this event possible. Also, if you do plan on coming to the Synopsis Purioris Colloquium, we do ask that you REGISTER ONLINE (for free) so that we can be certain we have enough seating and space for everyone. If you need to stay locally, we recommend the Prince Conference Center at Calvin College. This Spring we have an exciting array of scholars that are scheduled to speak in a variety of venues. We hope you will be able to join us either in person or online. Also, I wanted to take a moment to remind you and encourage you to consider a few things. Through our Colloquium series, since August 2015, we have had opportunity in person and online to present to about 2,500 attendees and viewers globally. That is simultaneously encouraging and daunting. It is tremendously encouraging because, as you may or may not know, the Junius Institute is fueled and funded overwhelmingly and primarily by the ardor, love, and zeal of its volunteers. These selfless volunteers have devoted their gifts, time, and effort to make this possible for the public good of a global audience of students, scholars, pastors, and the interested general public. It is daunting because as our reach has grown, our support has not kept pace. We are asking for your timely assistance. Please donate either by a one time gift or regularly. Your support builds people. Your support builds students, scholars, and pastors, globally. Your support makes the colloquium series into a rich conversation with scholars globally and helps academies, seminaries, and even churches. Your gift of whatever size helps us defray travel costs, meals, lodging, multimedia presentations, and so forth. It also reaches people. It keeps our projects and presentations free. That’s right, free to the public. So if you can give, please do, it helps scholars travel, eat, sleep, and speak. It helps students learn and scholars as well as pastors reflect. We also delight in providing a platform for students, new scholars, and established scholars to speak. I have the pleasure of receiving notes and e-mails from you–our viewers–from time to time thanking us for the content and the conversation. Your encouragement both in word and gift is necessary: it helps us keep going in so many ways. Without any more adieu it is my pleasure to let you know about the colloquium schedule for the remainder of the Spring. The links below are to our presentations that have either already occurred or soon will. We’ve posted the details for the Spring 2014 Junius Institute Colloquium series. 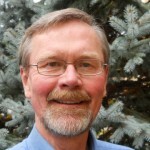 First up is Dr. Donald Sinnema, professor of theology emeritus at Trinity Christian College, Palos Heights, IL. He’ll be discussing “The Project to Publish a Critical Edition of the Documents of the Synod of Dordt (1618–1619): The Sources, with a Focus on the Drafting of the Canons of Dordt” on Friday, February 7. Join us if you’re in the area, and check out the rest of the details for the series at the project page here.